The best Cincinnati Gift Baskets come in a box! Cincinnati care packages. Choose either a 10-item, 7-item, 5-item box. Fill your custom Cincinnati gift box with Cincinnati foods such as Skyline Chili, Busken Bakery, Grippo’s, LaRosa’s, Montgomery Inn, and more. We ship your box and pay these fees so you don’t have to! Shipping within the US is FREE. My husband is military and from Cincinnati. We haven’t been able to make it back there in three years and I know he is missing the little things that we can only find there. So once again, just a really big THANK YOU for doing this. Thank you for your wonderful company, for those who have lived in Cincinnati Ohio all there life. And give FAMILY members a chance to send something that they crave after 13 days in a hospital. Way to go, better than flowers. A friend showed me Cincy in a Box last night, and I just wanted to stop by and say that this is a really great idea! Absolutely love it and plan to order from you in the future! My daughter and son-in-law, Kathleen Zook and Zachary Zook, loved their Cincy In A Box package! Thanks!. 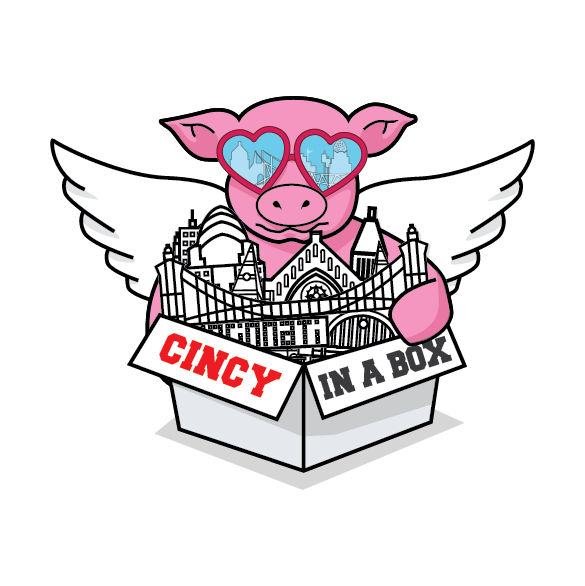 Love my #cincyinabox !! Thank you so much!